Have you ever wondered how close you are with the spirit world? Here at Madame Neptune’s Fortune Telling we bring your fortunes to life, be they good or evil! You and your friends will have 60 minutes to explore Madame Neptune’s Cabin! Working together, navigating the spirit world and breaking the spell may be enough to escape. 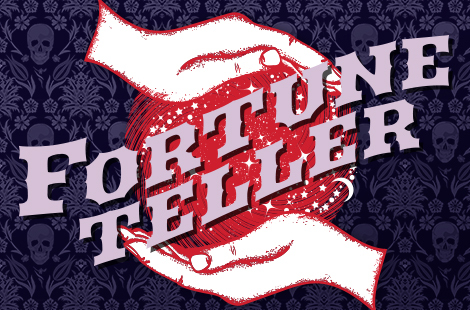 The Fortune Teller will reach across the veil to divine the fates of: Date nights, Birthdays, the Adventurous, and people who like consulting the dead when making life decisions. Can we add a 7th person to the Fortune Teller room? The Fortune Teller room accommodates 2 to 6 players. If you book the entire room, it may be possible to open it up to 8 people. Contact us at info@portlandescaperooms.com to ask about this. The Fortune Teller room is meant to be creepy but not terribly scary. These are not haunted houses, although there may be some abrupt noises and flashing lights. How old do you have to be to do the Fortune Teller room?